I’m a little bit of a novice when it comes to cleansers. To be honest after years of acne, it took me ages to find something that actually what works for me and my skin type so I tend not to stray from it. Now that my skin has finally stopped breaking out so much, I sometimes wonder if I could find an even better cleanser out there for my skin. I decided to give something completely different a try after I read all about how great cleansing balms are. 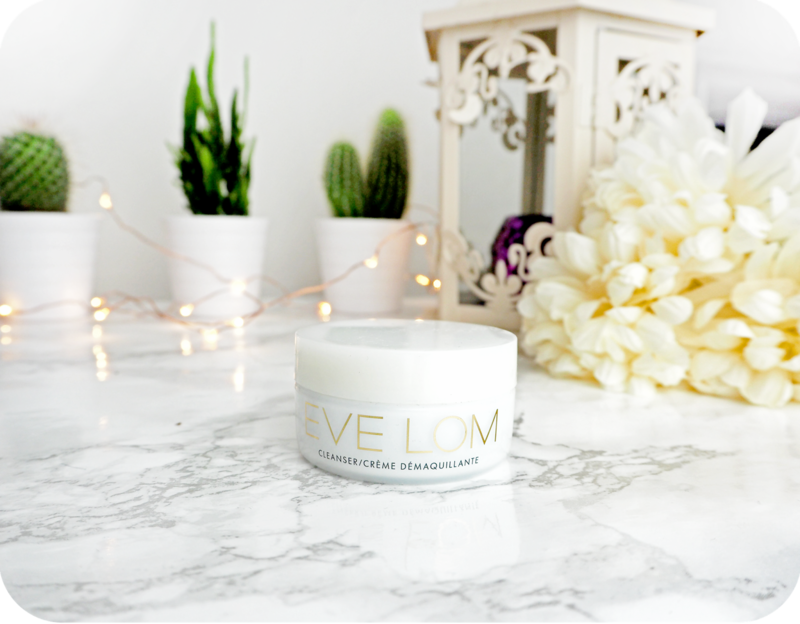 This month I took the plunge and bought the Eve Lom cleanser. I did a bit of browsing around the web and read nothing but rave reviews so I was eager to see just how good it was and whether it lived up to the hype. 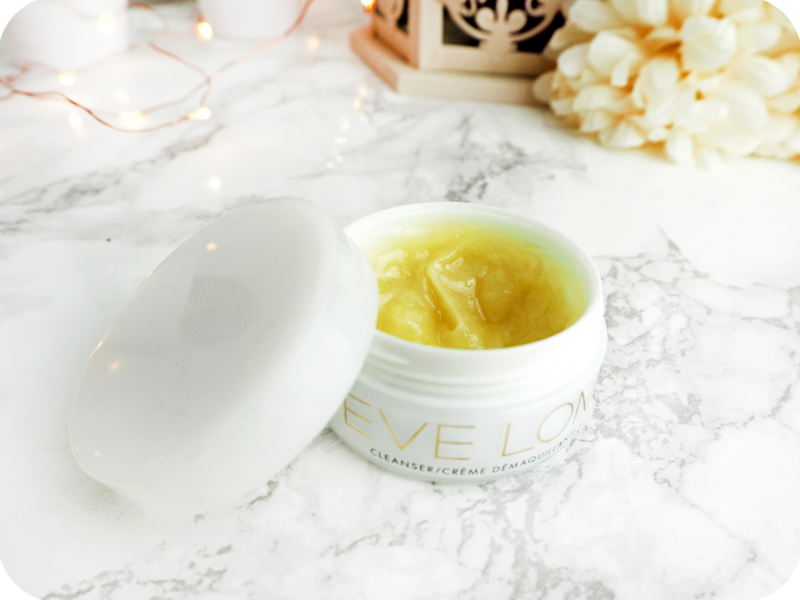 The cleansing balm comes in a plastic white tub that twists open. They also provide you with a muslin cloth to use alongside the product.There’s also a plastic cover that you lift up before you get to the product. The balm itself is a thick yellow balm with some tiny beads to help with exfoliation. There is a very subtle scent to the cleanser but unless you’re really smelling it you probably won’t even notice it. When you do smell it though it’s not one of the most pleasant smells. Think rich cocoa butter mixed with a citrus-y smell. Yeah, gross. The weather has been quite warm the past few weeks and try as I might I was unable to keep the balm cool enough to take a picture in it’s balm form. It ended up as a slightly melted gel like consistency, so if you’re thinking of using this is in a hot country or take it away with you on holiday you might want to bare that in mind. Although luckily the plastic seal that you lift up does help to stop the cleanser leaking out of the tub. I was really intrigued by the instructions because unlike most cleansing balms which you use pretty much like a normal cleanser. This one has more specific instructions. 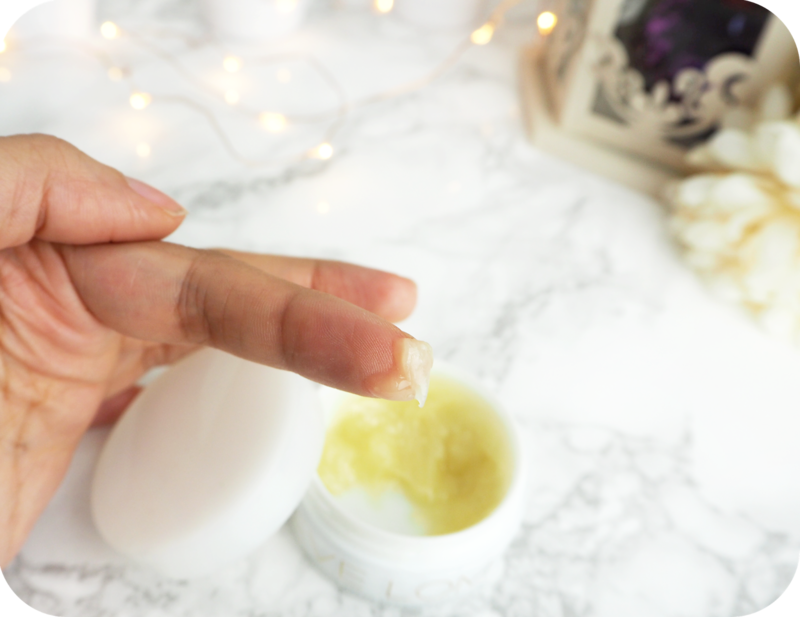 First you apply the balm with dry fingers in a circular motion across your face, then place the muslin cloth that is included in hot water and wring out before pressing the warm, damp cloth on your face and hold it there for 5 seconds. This step is to help open up your pores. This last step must be repeated three times before rinsing the cloth in clean warm water and wiping off any remaining make-up with circular movements to exfoliate at the same time. Once that’s done rinse the muslin cloth in cold water and apply to the face for 5 seconds to close the pores. I’ll be honest, this seemed like a lot of work to me. I’m usually so knackered by the end of the day that I just want a quick scrub before climbing into bed. I did like the idea of opening and closing pores though so I decided to give it a proper shot. So I tried it, and it was definitely a lot of effort. Weirdly enough though it was also quite satisfying. I ended up getting into a real routine with it and I loved the thought that I was getting the makeup out of my pores properly without leaving any traces of oils, dirt or bacteria from the day. The skeptic in me didn’t want to like this product and find some fault in it but there really isn’t one (apart from the lengthy cleansing process). After using the cleanser my skin feels soft and not dry at all. More importantly it feels clean. Initially I was a little bit worried that I’d have to use another cleanser after because I hadn’t used a balm before and although I’m all for double cleansing, I’m also very lazy. It turns out you definitely don’t need another cleanser after using this one and I should hope not after all that cleansing and re-cleansing! I’ve never stuck to a product for the entire duration of a month without straying from it before. Like I said there’s something quite satisfying about using it and my skin has never looked better. No breakouts since using it at all! I can definitely see now why Vogue have named this the best cleanser in the world! Priced at £55 for just 100ml might sound a little steep but it does last a long time. Besides, can you really put a price on good skin? It comes with the muslin cloth too so you don’t need to worry about purchasing anything extra for it. The Eve Lom Cleanser can be purchased here. What do you think of balm cleansers?